Monday’s raid on the office of President Trump’s personal attorney, Michael Cohen, sent shockwaves through political circles as speculation around what the agency sought ran rampant. 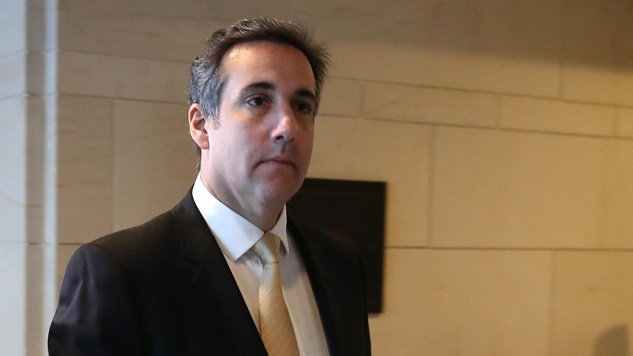 Now, multiple people briefed on the investigation have reported to the New York Times that the FBI sought records related to payments made by Cohen to Stormy Daniels and Karen McDougal in relation to their claimed affairs with the president. Additionally, they sought records related to American Media Inc. chairman David Pecker’s involvement in silencing McDougal. While the $130,000 payment made by Cohen to Daniels has been a dominant story over the last few months, the $150,000 payment made by Pecker to McDougal hasn’t received the same range of coverage. The payment was made as a story acquisition by Pecker, who is best known as the publisher of The National Enquirer, but Pecker sat on the story once the payment was made in an effort to silence her claims ahead of his personal friend Donald Trump’s presidential election. Pecker has enjoyed increased access to the president since he took office, utilizing his relationship with Trump to curry business dealings with Saudi royals. The sensitive nature of seizing a lawyer’s files points to the significance of the evidence presented to Rosenstein. It had to have been overwhelming to gain the approval for the aggressive decision. The move further fueled speculation that Rosenstein might not be long for his job in the president’s eyes. Trump has tussled with the decision to fire Rosenstein since his appointment of special counsel Robert Mueller to oversee the Russia investigation. Vague remarks by the president Monday when asked whether he intends to fire Mueller have caused legislators to renew their efforts to protect the special counsel. “We’ll see what happens,” said Trump. The payment made by Cohen to Daniels has been characterized by political watchdog groups as a violation of campaign finance law, and Monday’s raid could produce information that could calcify that argument, which could then lead to more legal problems for the president beyond what Mueller’s investigation ultimately generates.